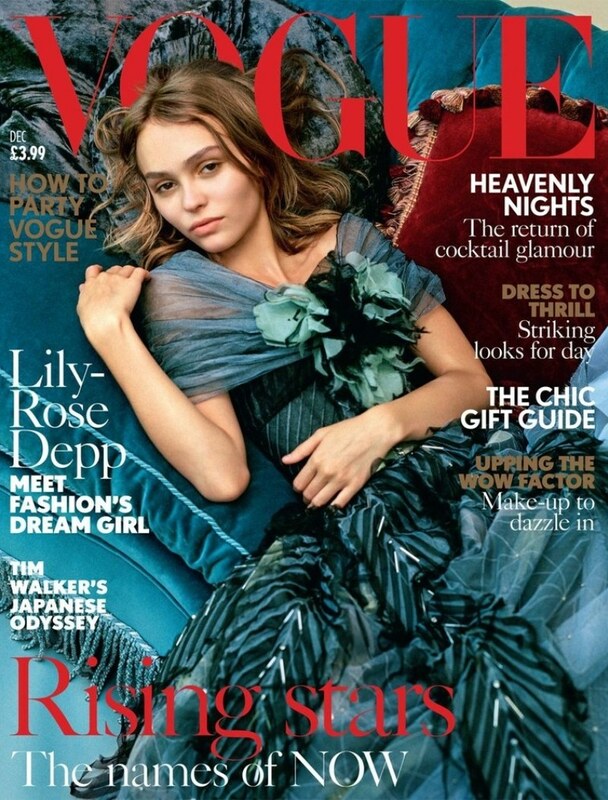 Lily-Rose Depp is cover girl of British Vogue’s December 2016 Issue. The 17-year-old daughter of Johnny Depp and Vanessa Paradis who recently starred in an ad for Chanel No5 l’Eau was lensed by Bruce Weber. On her first cover for the glossy she appears resting on a sofa in an opulent blue-green dress against a turquoise background, with minimal makeup. Read the full interview, and see the accompanying shoot, in December Vogue on newsstands now.